Microsoft Excel is the best application for calculation and formulas but many people didn’t know the keyboard shortcuts keys for Microsoft Excel. There are many methods for doing calculation and inserting formulas in Microsoft Excel some people use mouse, some use manual method or some use shortcut keys but too long. I always try to find out easy and smart way to work because mouse always take long time than the using keyboard shortcut keys. So here in this post I will show you how to calculate sum or plus by using single shortcut keys. 1. 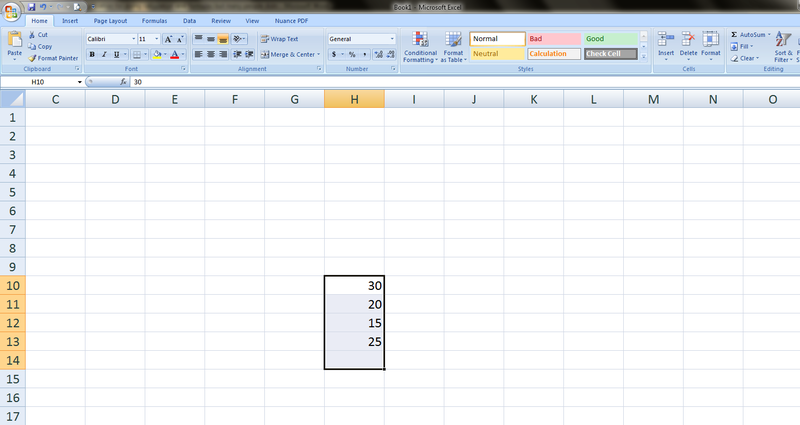 Select your value and one extra blank cell. 3. Your total sum value will be calculated at the end.